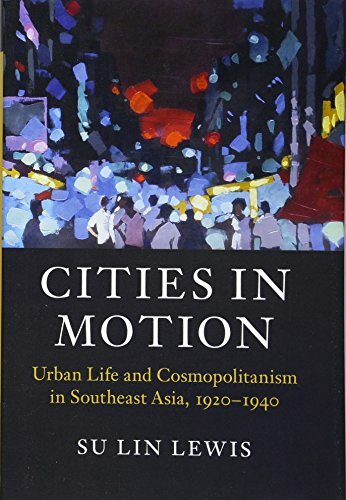 [PDF] Cities in Motion: Urban Life and Cosmopolitanism in Southeast Asia, 1920-1940 (Asian Connections) | Free eBooks Download - EBOOKEE! Posted on 2018-02-02, by luongquocchinh. Description: In the 1920s and 1930s, the port cities of Southeast Asia were staging grounds for diverse groups of ordinary citizens to experiment with modernity, as a rising Japan and the growth of American capitalism challenged the predominance of European empires after the First World War. Both migrants and locals played a pivotal role in shaping civic culture. Moving away from a nationalist reading of the period, Su Lin Lewis explores layers of cross-cultural interaction in various spheres: the urban built environment, civic associations, print media, education, and popular culture. While the book focuses on Penang, Rangoon, and Bangkok - three cities born amidst British expansion in the region - it explores connected experiences across Asia and in Asian intellectual enclaves in Europe. Cosmopolitan sensibilities were severely tested in the era of post-colonial nationalism, but are undergoing a resurgence in Southeast Asia's civil society and creative class today. No comments for "[PDF] Cities in Motion: Urban Life and Cosmopolitanism in Southeast Asia, 1920-1940 (Asian Connections)".